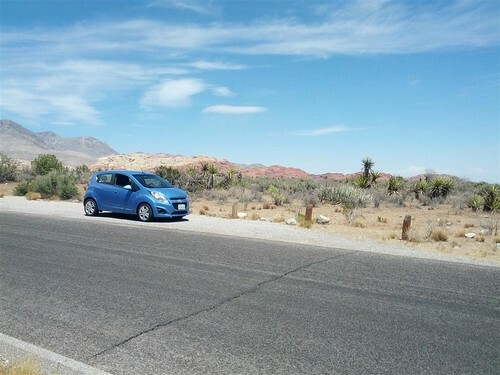 It’s time for yet another installment of “Drive that Rental Car!” My finances were a little more sad since the last time I needed a car in Las Vegas, so I took the sensible route and rented an economy car. 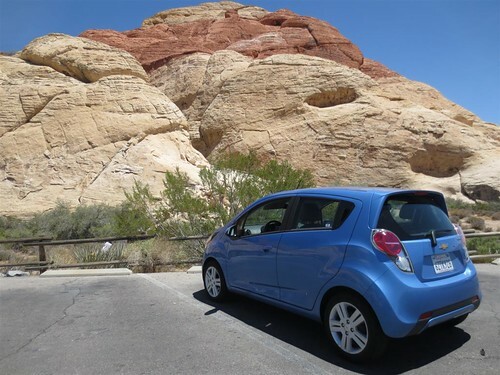 The default was a Kia Rio, but the picture on the car guide was a little depressing, so I chose the Chevrolet Spark solely based on the exciting name. I had not heard of a Chevrolet Spark prior to the conversation with the rental clerk so I was going into this completely blind. When we arrived at the garage to pick up the car, I was delighted to find that it was blue, and it had a certain degree of cuteness due to its tiny stature. And then I looked over and saw the Kia Rio that the man next to me in line had rented, and realized it was considerably more stylish than the picture on the brochure and I had a small case of renter’s regret. But I glanced again at my delightfully blue Spark and chose to carry on. The first challenge for our little Spark was to get us and our luggage to the hotel. 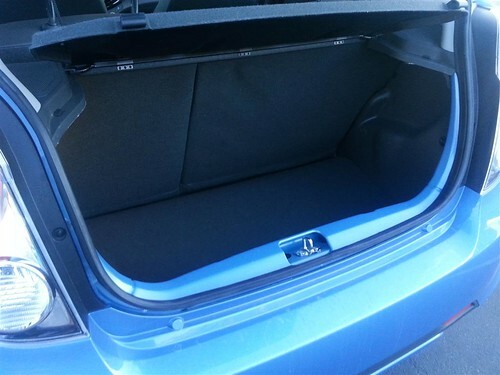 For the sake of convenience we put the luggage in the back seat, but quickly decided that this was not a good consumer test. After all, what if we had had passengers? 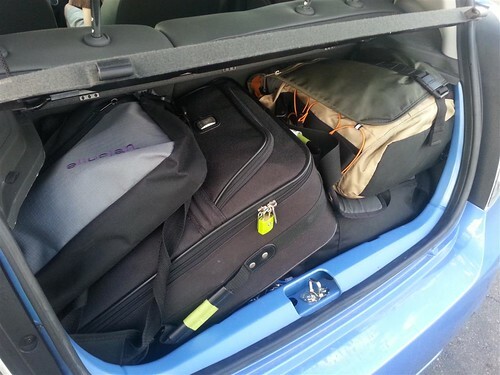 So we opened the hatchback, quickly decided there was no way in hell our luggage (2 small suitcases and 2 carry on laptop bags) was going to fit, and proceeded to prove physics wrong by smushing everything in and slamming the door before something could fall out. Victory! Now to drive it. Last year, I felt that the Mustang was underpowered for how much horsepower it supposedly had, but apparently I just needed to drive this to truly appreciate how nice horsepower is. 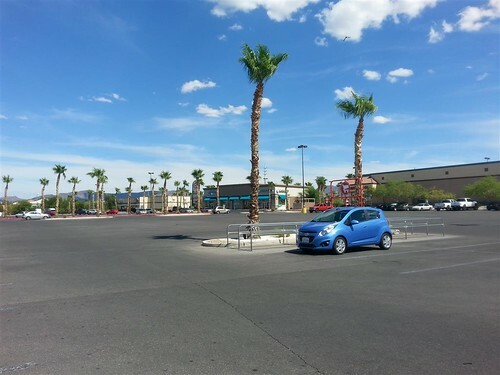 It was summer in Las Vegas so of course the AC was turned on full, and the poor little car seemed like it couldn’t get out of its own way. But we made it safely to the hotel with a stop at In-n-Out Burger (Woo! ), and things were good. The next day I had plenty of time to explore so I was looking forward to a day driving on the delightful Nevada highway system. However there was a nagging bit of anxiety wondering how on earth I was going to travel on 65mph highways with a 1.2L engine that takes over 11 seconds to get to 60. 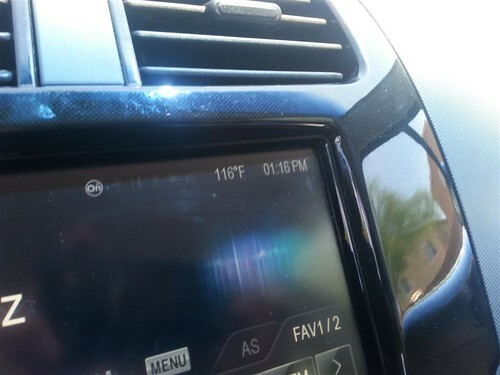 The answer, it turns out, is to turn off the air conditioning, put your foot down hard, and be very thankful that most drivers out west seem to know what they’re doing. I would be terrified to drive this on the east coast with tiny on-ramps and drivers who are offended by your attempts to merge. But it was cool. I even learned to deal with the heat and drove with my window down to ensure maximum power. Windows down, looking at some rocks. I can’t talk about power (or lack thereof) without mentioning how well the Spark handles the opposite: braking. I wasn’t expecting much for a car that seems designed for low-speed city driving, but man was I impressed. The Spark is apparently well under 3000lbs which means that even simple brakes should be more than sufficient. There was a lot of high-speed-to-stopped traffic at rush hour, and the car handled it like a champ. It even had about 6500 miles on it, which I’m sure were 6500 abused-rental-car miles, but I never would’ve known if the little odometer wasn’t staring at me in all its digital glory. The inside of the Spark wasn’t anything special, but it wasn’t bad either. 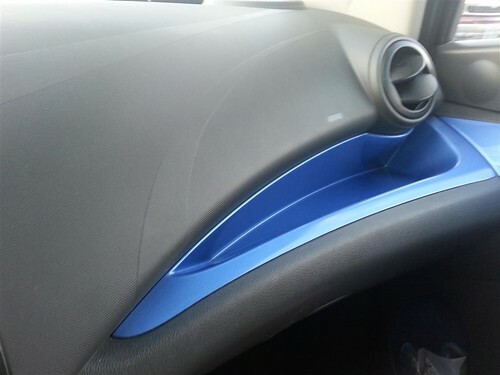 There were blue accent trims, lots of cubbies and cupholders to put all my things (water, water and more water), non-offensive climate control dials, and a big shiny touchscreen. 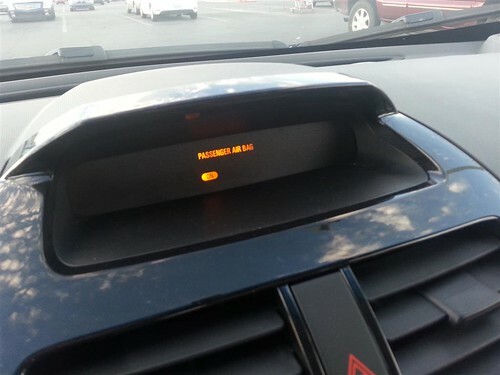 I’m saving this rant for next post, but these airbag displays. What? Why? No. 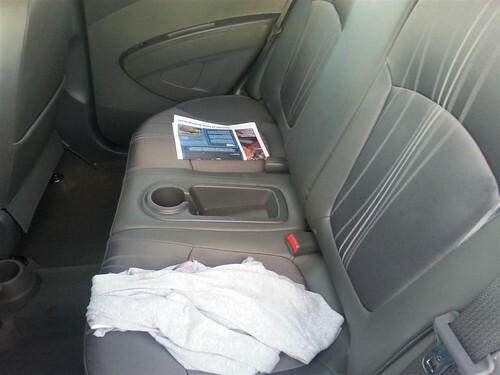 The back seat, roomy enough for a sweatshirt and a brochure, or probably a few people or kids or dogs if you’re into that. 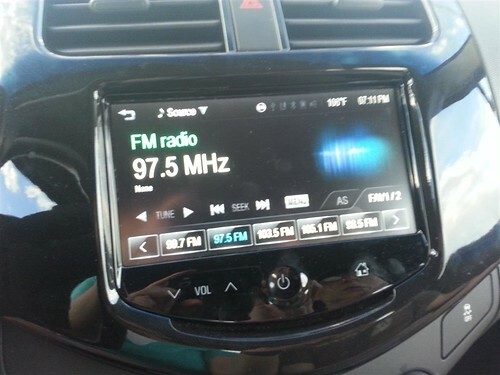 I normally dislike touchscreens in cars because tactile feedback creates that muscle memory which you want when you should be, you know, looking at the road, but I kept the system on the radio screen and the buttons were large enough that I could select my desired radio station without needing more than a glance in that direction. However It did get significantly more unpleasant once I had to manually search for stations or view more than the standard 6 or so presets. Luckily the power button and volume buttons were not on the screen itself and had handy indentations so I could feel where they were without looking. 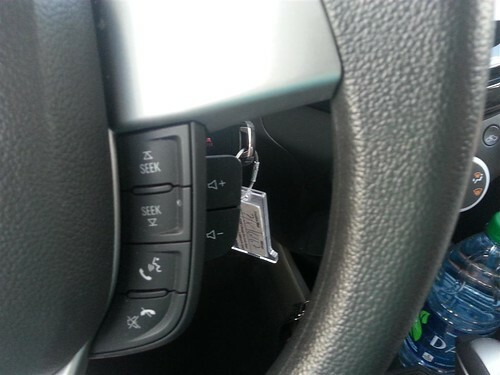 The steering wheel was basic and had the standard cruise control buttons on the left, bluetooth buttons on the right, and additional volume control buttons behind the bluetooth. 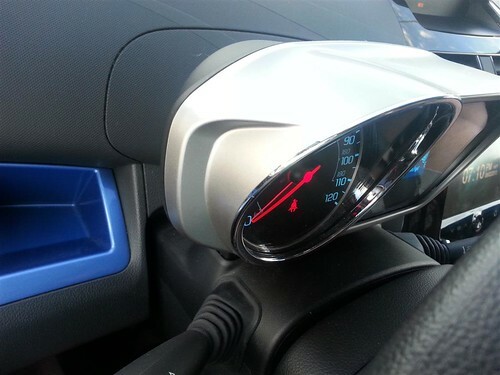 The most interesting feature on this car, to me at least, was the modular gauge cluster design that was obviously used to make manufacturing both right-hand drive to left-hand drive cars cheaper and easier. The dash itself was pretty much symmetrical, and the (tiny) gauge cluster was attached to the steering column and not the dash. 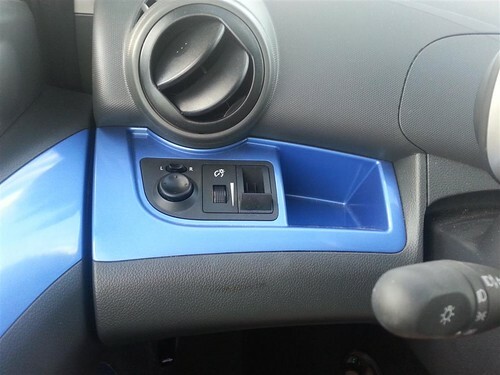 You can tell that for right hand markets they simply have a mirror image dash layout and stick the steering wheel on the other side. 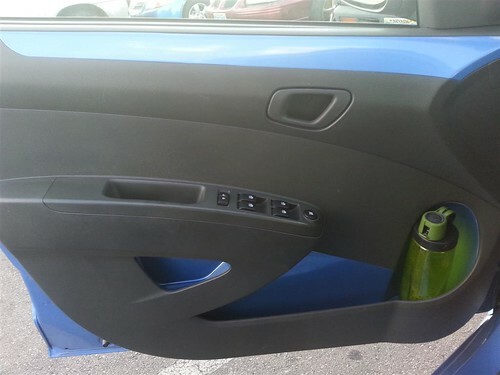 Notice how this is just a smaller mirror image of that passenger dash cubby from a few paragraphs up? Yeah. The speedometer was the only analog gauge, the rev counter, fuel indicator, and assorted trip statistics were on a digital screen. I did kind of enjoy the digital rev counter because while it wasn’t all that pretty, it was hilarious to watch the little dots freak out and jump from the standard 1000rpms up to 5000 rpms every time I put my foot down (which was often). I’m not going to lie, I also used the silly digital rev counter to pretend that I was in an LFA and the engine was just so fast that an analog dial couldn’t keep up. By the third day I had come to appreciate the tiny little car, though I realized that my heavy foot was not doing much for the fuel economy. 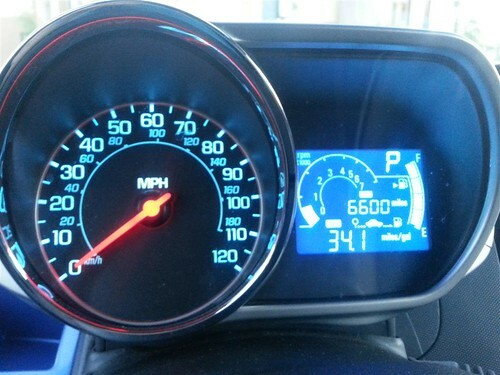 I felt like such a tiny car with a tiny engine should get better fuel economy, but I was only averaging about 34.5mpg. Definitely better than my car at home but I have these weird notions that econoboxes should be able to get like, 60mpg. I don’t know where I get that idea from (probably European diesel cars. So Jealous.) But when my driving consisted almost entirely of sitting in traffic or going 70mph I guess I can’t really complain. Oh, and it has a tiny gas tank and takes regular fuel, score! Also by day 3 I found myself getting sick of driving on highways. It seems like there is a mental limit of how much I can handle worrying about whether the little car would stay in the lane or hit a bump and skid out of control. 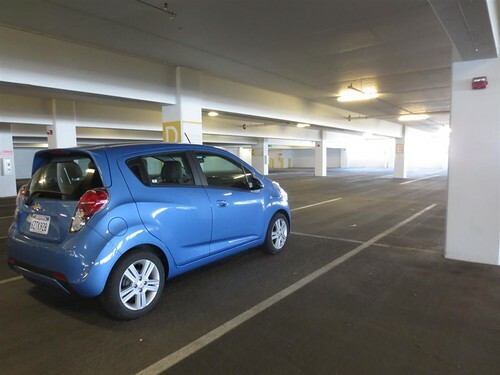 It was pretty obvious that the Spark was designed to be a city car and not a high speed commuting car. I love the Spark, it was adorable. But I probably would not want to rent one again in a town like Las Vegas. There are such delightful highways with wonderfully high speed limits, and while I didn’t mind the tiny engine and lack of power anywhere near as much as I expected, the skinny tires and non-optimal driving dynamics made it squirrely and uncomfortable at high speeds. I was never really scared, (except that one time I got a bit too adventurous on an on-ramp that we’re not going to talk about here) but I often found myself wishing I had a more stable car. In town at low speeds it was a much nicer place to be, and I was thankful for the good fuel economy during the many hours that I was stopped at lights. I would’ve preferred the A/C not be so anemic, but that’s about the only complaint there. At least while driving there was a breeze from the windows. Not so much out in the desert. As an addendum, I did come home and look at a tiny used (green!) Spark, mostly as a joke, just because I think it would be a silly little cheap car to drive around town in, but they wanted $15,000 for a used spark with 25,000 miles! Seriously? Is this car so in demand that they can get away with those prices? 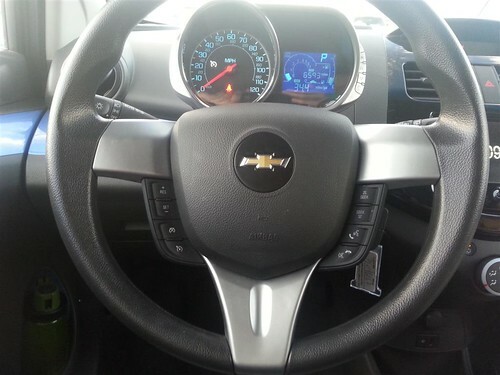 I checked the Chevrolet website and they start at just a little over $12k, so this seems a bit ludicrous. I also neglected to mention throughout this (very wordy) post that the Spark comes in an electric variant. I want to try it out since the popular car sites all seem to think it’s wonderful. Anyone want to order one so I can take a look at it? Oh the bother of living on the east coast, where we aren’t cool enough to order a Chevrolet Spark EV.